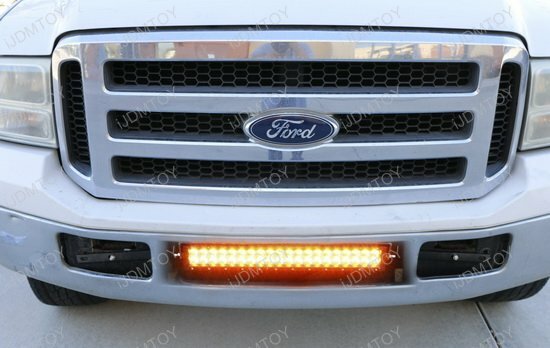 A: No, there is no modification required for installation so you can get a formidable look for your Ford F-250 in no time. 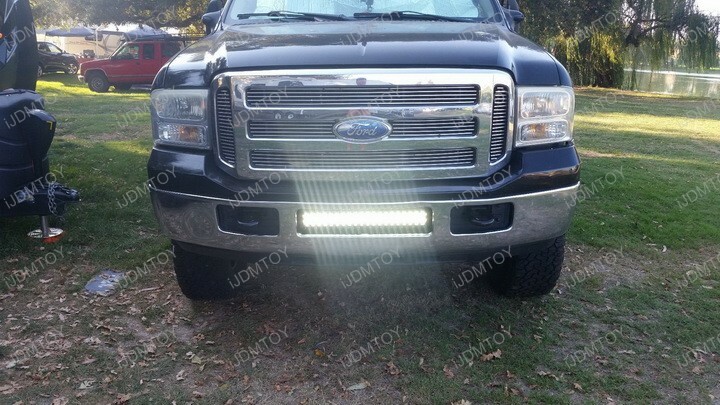 Q: How do I mount this LED light bar on my Ford F-250? 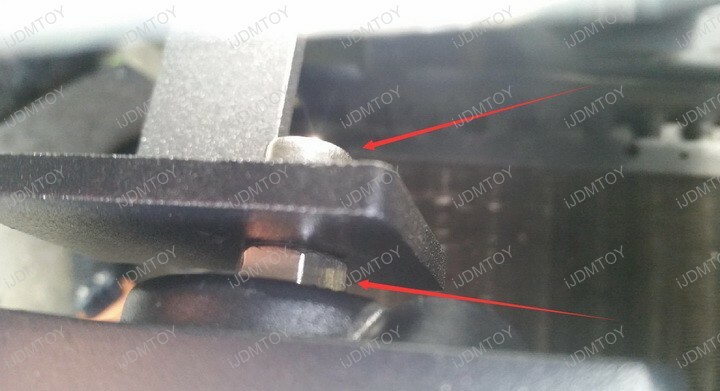 Step 1: Remove the bolts indicated by the red arrows below. 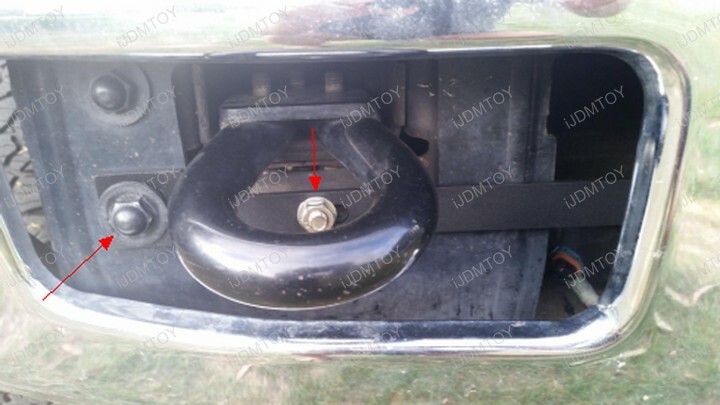 Slide in the metal mounting brackets from the lower bumper gap and bolt it on. 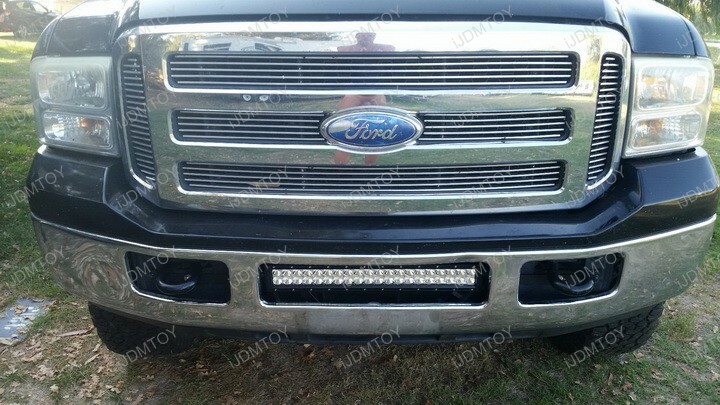 Step 2: Bolt on the LED light bar. 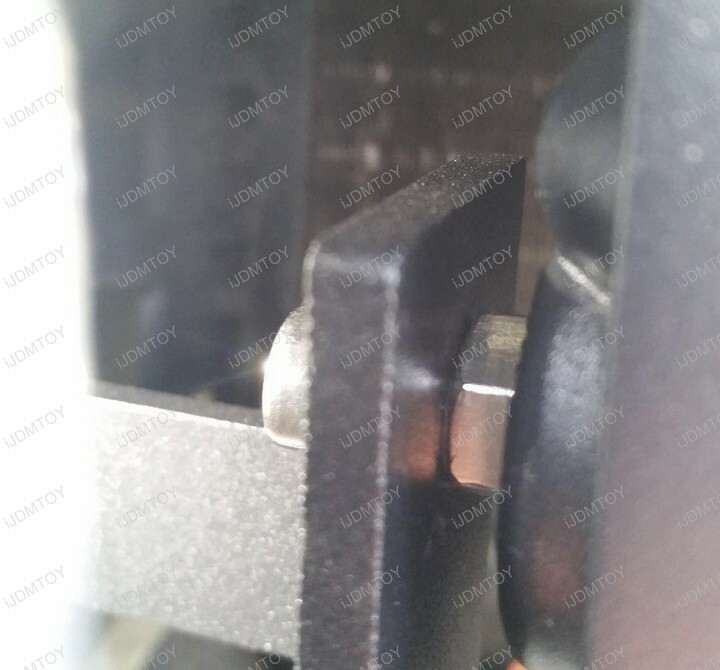 Secure it in between the mounting brackets using the included nuts, bolts, and washers. Step 3: Wire your LED light bar to an existing power source or by using a relay wiring harness. 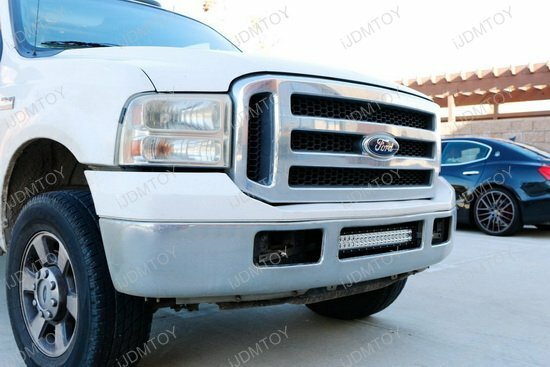 Q: How do I wire up the relay harness with switch to power up the LED light bar? 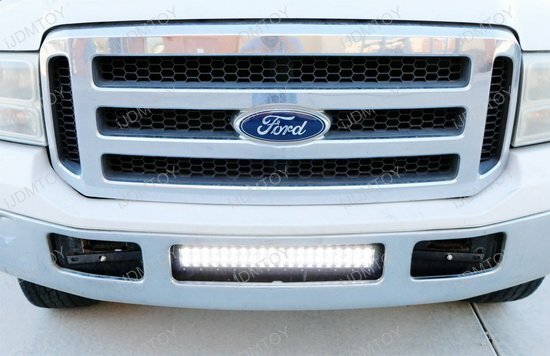 A: Check out our truck LED wiring guide for a step-by-step tutorial on how to wire up the LED light bar. 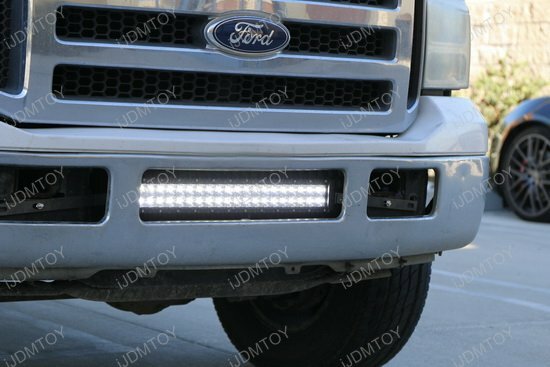 LED light bars all shine in white, which is what most truckers need in a regular use. But if you need to send out alert signals, what good is an all-white light? You'll need a bright and dynamic light that communicates high alert. 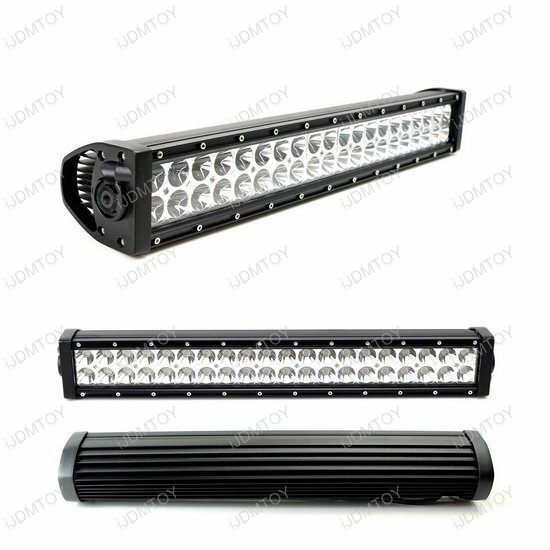 You'll need the 20" 120W high powered dual color LED light bar! 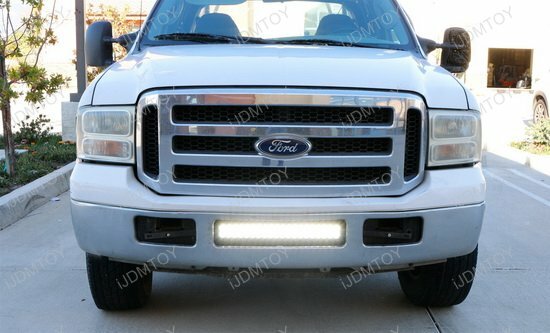 This page features the lower bumper grille mounted 20" 120W LED light bar made to fit the 1999-2007 Ford F-250 and F-350 Super Duty trucks. 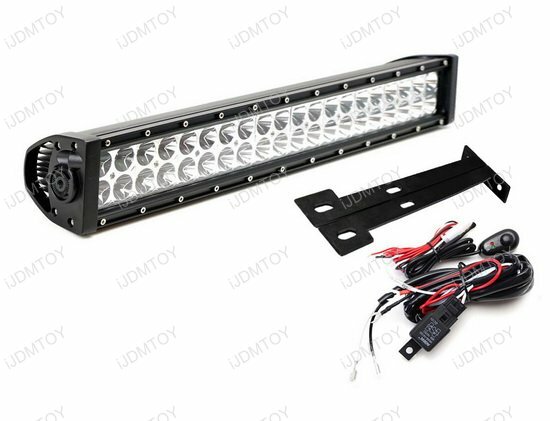 The complete LED light bar kit includes (1) 20" 120W dual colored white and amber LED light bar, a pair of lower bumper grille metal mounting support brackets, and relay wiring harness with on/off switch. 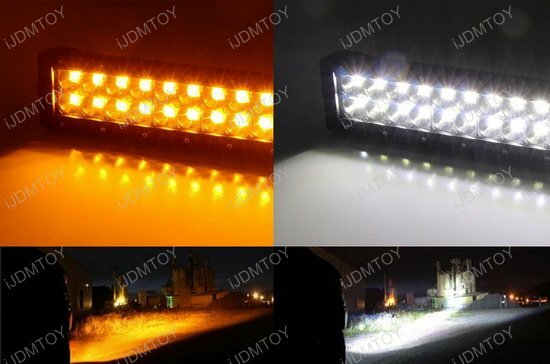 Each white/amber LED light bar is powered by (40) 3W LED emitters that shine in either xenon white or amber yellow. Control what color shines at your fingertips with the included switch to adapt to your ever-changing environment. 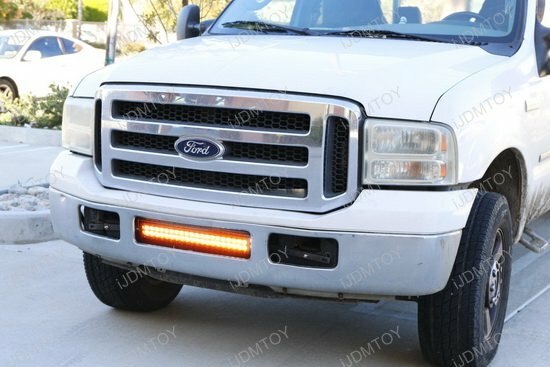 This dual colored LED light bar will not only allow you to see what's in front of you in any weather condition (rain, fog, dust, smoke etc) but also make your Ford Super Duty truck look like it belongs in the offroad setting it thrives in!